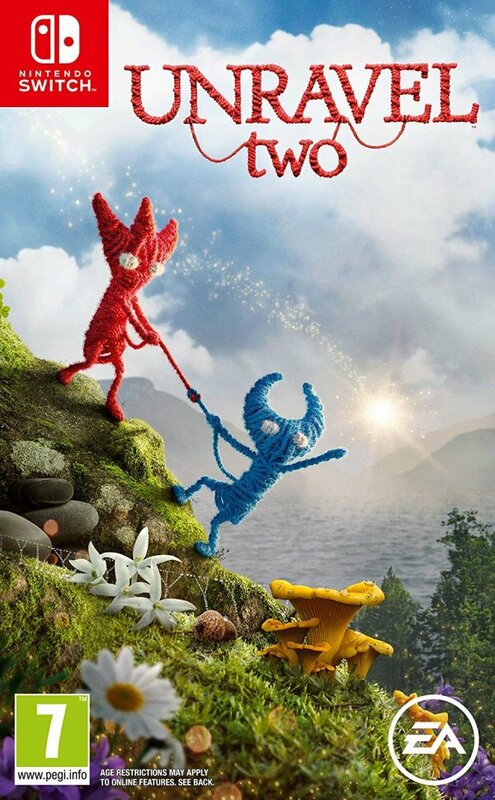 Unravel Two is very much an iterative sequel. That's not meant as a negative, but rather that its developer knows what made the first game so charming and simply doubles down on those unique qualities. 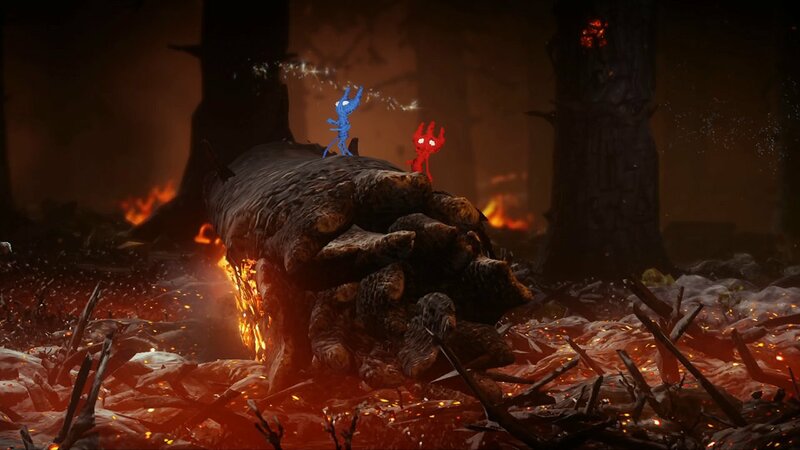 Once again, you control a miniature woollen hero called Yarny, who travels on a 2.5D adventure using his own yarn-based string to swing across gaps, pull down objects to reveal new paths and scale seemingly insurmountable heights. You’ll still be using picture frames as gateways to new levels (this time contained within a central hub based in a lighthouse), only now there are new memories to explore. 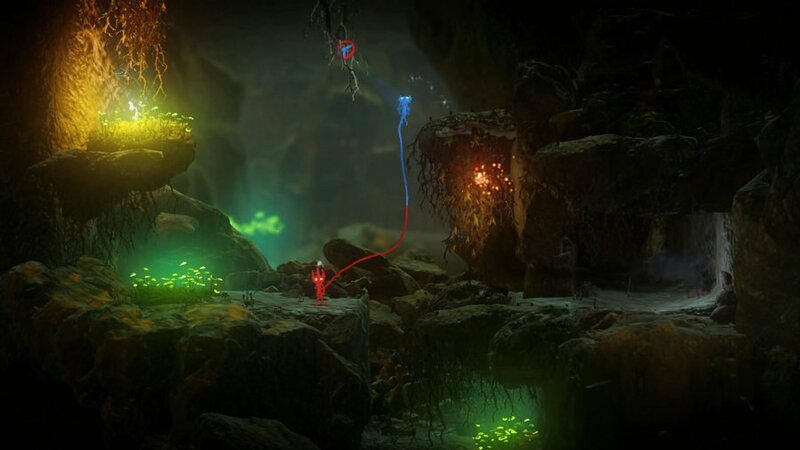 This time, however, Yarny is joined by a blue-coloured friend, leading to levels filled with environmental and platforming puzzles that call for the two woollen pals to work together. It should be noted that while it's being sold on the enjoyment of its local co-op, Unravel Two is brilliant fun from beginning to end when played on your own. You can only move one character at a time – enabling you to place on a seesaw to weight one side down, or to create a lift by leaping over a hook – but you just need to hold ‘X’ when both are next to one another to combine them together into one multi-coloured Yarny. There are benefits and drawbacks to playing solo or co-op – for instance, getting your swings in sync when trying to leap between swing points can be a challenge in co-op, while solving certain puzzles takes a little longer in single-player – but both remain solid ways to play in their own right. Unravel Two was already a wonderful little game, filled with heartfelt moments of poignant storytelling and challenging platforming puzzles, and now it has a fitting new home on Nintendo Switch. Even with a few downgrades to the visuals, Unravel Two is far from an inferior experience when played on Nintendo's hybrid system. Full of charm and character, it’s one of the best co-operative platformers you can play anywhere, and another robust Switch port that was well worth the wait. Despite what it’s quality is, seems odd to release it so close to Yoshi’s Crafted World, doesn’t it? I remember almost tearing up while playing the beginning of the first game, just for how melancholy it felt. To the point of wondering if I had an actual Swedish childhood, in fact. Good stuff. I’ve been interested this for awhile but haven’t picked it up because I don’t have a co-op buddy. Nice to know I can still play it through on my own. I may pick this up sometime in the future since it looks like fun. Looks beautiful. I'll eventually pick it up. There is a mixture of Xbox One (or PC) and Switch shots in this review. Why? More red/blue themed two player games for everyone! I'm importing from Amazon UK for a physical version. And the Wait for a Physical copy begins. @JaxonH Thanks for answering that question! I'd like to grab this, but want a physical copy so I can let my friends play when I'm done or playing something else. @CurryPowderKeg79 only physical in Europe I think. How is it that a game like this has downgrades on Switch? It's not demanding! Anyway, its price is too high, 30 for a digital game... I'll buy it on Xbox One, like the first entry, and this time again won't take long until being reduced to around 5. The first one was great. Glad 2 is on Switch. My kids love Yarny. Finally a Electronic Arts game that I could enjoy. The Unravel games are beautiful, charming, relaxing and quite challenging at times. I'd say that it's my favourite indie franchise. @Moroboshi876 Not Demanding? and you base that on what exactly? Clearly you have not tested this on PC, this game may be 2.5D but the backgrounds and lightning are top notch. The Only thing I am not sure is the framerate on switch is it 30 fps or 60? I am surprised this review didn't address the two graphics of the game - a performance mode and a graphics mode. I guess that's something for Digital Foundry to talk about. That subtitle. Boo! Boo I say! @AlbertXi From what I've heard and seen (videos, I don't have the game yet) it runs at 30fps. It sounds like a good game, and I might end up playing it on my Switch, but I'm really disappointed that yet another sidescroller is released at 30fps. All games should be 60, but especially sidescrolling games. They just look junky when they don't have that smooth movement! @60frames-please Not on PC, no. On Xbox One. And if this game can't work on Switch as good as on Xbox One, I think Cuphead won't necessarily be a perfect port. Dat price though. I compare games like this to Hollow Knight, Cuphead, Ori. None of those cost over £20. What makes this worth the extra? @60frames-please It has both a graphics mode and a performance mode while docked. Graphics Mode 900p 30fps and Performance Mode is 720p 60fps. EA's unprecedented support finally bears fruit! I see the EA logo and cringe, but the game itself looks so lovely and charming. @kobashi100 I agree when we're talking about AAA games. But this is not a game that takes full advantage of PS4 or Xbox One. @Moroboshi876 why would it matter if it is AAA or not. Technically it isn't possible for the switch version to look as good. The logic that a switch non AAA game should look like the PS4 version is ridiculous. @CurryPowderKeg79 Are you okay? Did you take something weird? Remember it's cheaper from the U.S. EShop than the UK one. Sorry @Indielink i hadn't had my coffee yet. I'm ok now, but your not the only one with concerns. As my wife said the same thing about an hour ago as i was ranting and raving at the morning news. Thanks for your concerns, I can assure you all is well now. @kobashi100 If a game doesn't take pushes a PS4 to the limit, why shouldn't it work exactly as good on the Switch? That's what I'm saying. Of course there have to be some aspects of Unravel that are more demanding than they look, but what I meant was it's not a technologically groundbreaking game that can't work on Switch without downgrading it. Some light effects missing? OK. But not much more. The two game collection bundle can be had new for £16 on PS4 and XB1. I'd contemplate spending £20-25 on this if it came with the first game too. @60frames-please I have played docked and undocked and honestly. With the slow pace of the game going from 60fps to 30fps isn't a big deal. This was just on sale last week on PS4 for $5. I bought it and started playing co-op with my son. The game is pretty good, lot of tricky puzzles. For $20 there's Celeste and Cuphead... Maybe too short to pick at full price? I just picked this up last night. I can't wait to play it! 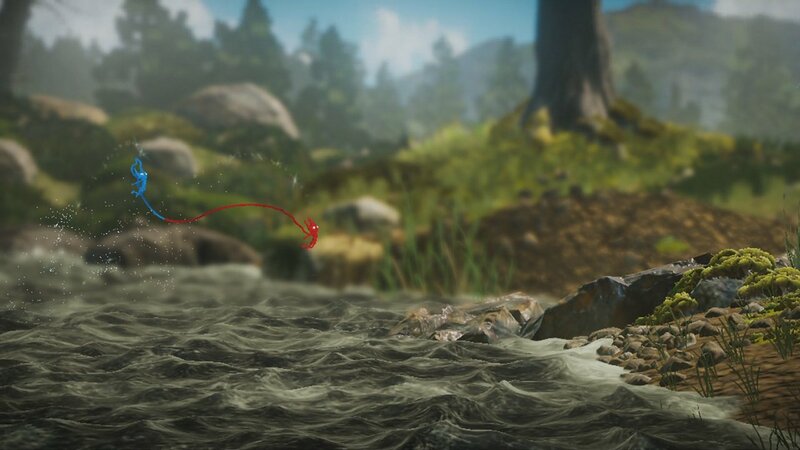 I played the first one on another system and I wasn't able to get into it, despite being one of the few "good" efforts off of EA's hands, so I don't see Unravel Two being much of a changer for me either (I played the demo...I dunno...). It's not to say I won't ever buy this, though. Besides, Yoshi's Crafted World is just up ahead and personally to me, the Switch has better options for platformers like these. I'm talking Super Mario Odyssey, Kirby Star Allies, Donkey Kong Country: Tropical Freeze, etc. @Link41 Unless they updated the photos, those first 2 pics for sure are far too low resolution to be from the PC version (Only one I have experience with) or the other consoles. Looks like the Switch version to me. What makes you think they are from another version? EDIT: Looking at it again, I'm fairly confident they're all from the Switch. I could be wrong, but they certainly don't look as detailed or as sharp as I remember on PC. @Link41 so you haven't actually got the switch version. Sorry but the screenshots are definitely the switch version. I think you should go and check out screenshots for PS4 and PC. There is a clear difference. It's unfortunate that this and Kirby's Extra Epic Yarn are both launching in the same month as Yoshi's Crafted World. Ideally I'd like to play all three but I think one cute woolly platformer is enough for me for one month, so Yoshi it is for now. Downgraded but more expensive than it was at release on other systems (now awaiting the abuse from the raging fanboys for bringing this up. "But you are paying for portability!". Portability that is built into the system already). Then I stand corrected, they didn't look they belonged to the Switch version. Apologies. The game was originally at $20 on release, just like the Switch version. The reason why the European version is more expensive has already been mentioned. @Quinnsdaddy11 In Europe it costs 29.99 according to the pricing NL posted last Thursday. But I paid 5 for the first entry. 5. Okay, first Crafted World, then this game. It looks amazing! @kobashi100 I totally get that going from 60fps to 30fps isn't a big deal for you. I'm different however! I notice the choppiness of Animal Crossing on 3DS, and would absolutely love it if I could play that game in 3D at 60fps on 3DS. Even a slow moving game needs to be at 60fps in my opinion. For example, in Animal Crossing New Leaf, if I walk very slowly it looks smooth, but if I walk quickly or run it looks like crap. Still playable, for sure, but looks crappy to me, absolutely. @Galarian_Lassie that's awesome! I didn't know that. I love it when I can choose a performance mode that runs at 60fps!!! I'll probably get this game and enjoy it in docked mode. @CupidStunt stop making up stories. Unravel 2 was sold for $20 on other systems when first released. Yea @MisterDevil that's in Europe, sadly North America doesn't get a physical release. @Moroboshi876 I guess it's possible. It could be running at 60fps in 720p and 1080p like they say, but then have fewer enemies on screen, or something like that. I'm mainly concerned about the loading times because they were a lot longer on Xbox one than PC. Regardless, it will be an awesome addition to the Switch library. @60frames-please It will be indeed. Worse performance on Xbox One is sadly becoming a trend. Now because they design games with Xbox One X in mind, and PS4 Pro and standard PS4 perform well with those games, but standard Xbox One doesn't. I hate these mid-generation systems because they harm early adopters... Specifically Microsoft early adopters. There shouldn't be loading times on Switch, there's no disk to be loaded. But yes, sometimes they just do quick ports and the understandable loading times of disk versions get ported as well. This review did not tell you everything: there is no anti-aliasing. It's so jaggy, it's like playing on a 3DS. @Moroboshi876 Cuphead is just 2D hand drawn sprites, this game is in full 3D. 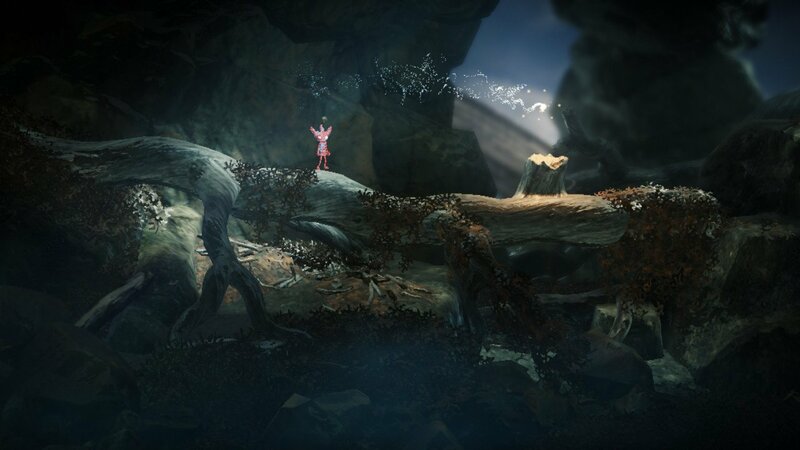 The backdrop scenery is all 3D objects, with dynamic liquid and physics. @kobashi100 Raging mental blinded fanboy number one. It is £24.99 on Switch, and it released for £15.99 on PSN. I am sure in dollars it must be similar on e-Shop. Now go and grow up. @Moroboshi876 Well, you may have noticed that many digital and cartridge games have loading times, sometimes very long ones. So even though old NES, SNES, and N64 games didn't have load times (except Wipeout 64, for one) while PS1 did, now I guess files are so large and so compressed that loading is necessary on cartridge based games. I believe the new Smash Bros has the longest loading times of any Smash game. I still like it, but not it's loading times. I probably will @MisterDevil later, but i'll need to make sure theirs no required DLC for performance issues. As i don't really want to make an European account just to play imported games.